Multimedia content is an important part of any successful website. It adds a visual aid to a page that can grab a reader’s attention and keep them interested in your content. It can also provide valuable reference/textual support to an argument or article you are writing. 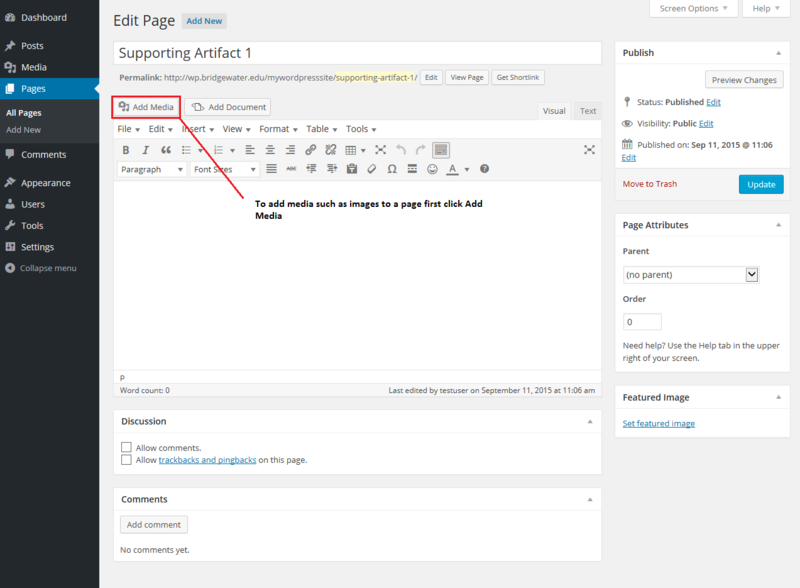 WordPress allows you to build a media library for your site by uploading images directly to the server. 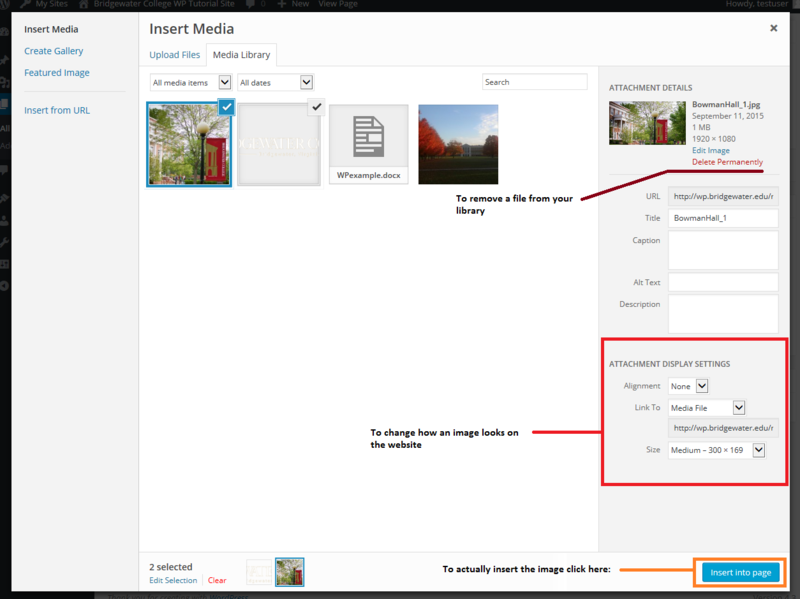 To upload and insert an image into your content page, follow a few simple steps below. Once you’ve clicked Add Media, you are in your site’s media library. 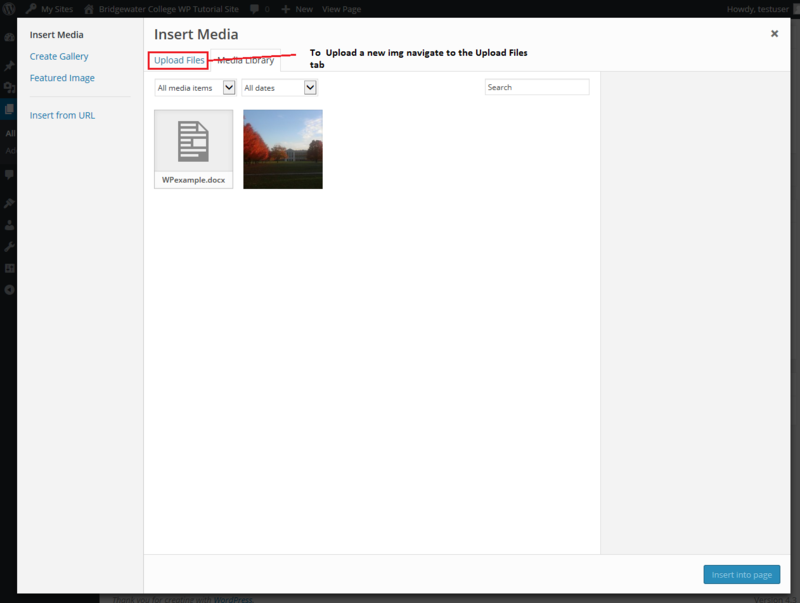 From here, you can select an image already on the server and embed it into your page. However, we want to upload a new file. So navigate to the Upload Files tab in the top left corner. Do you have an instructional video or project you’d like to display on your site? Many people put their videos on YouTube or Google Drive. To get a video from one of those sites, you simply have to embed the content on your page. WordPress makes this extremely easy for anyone to do. 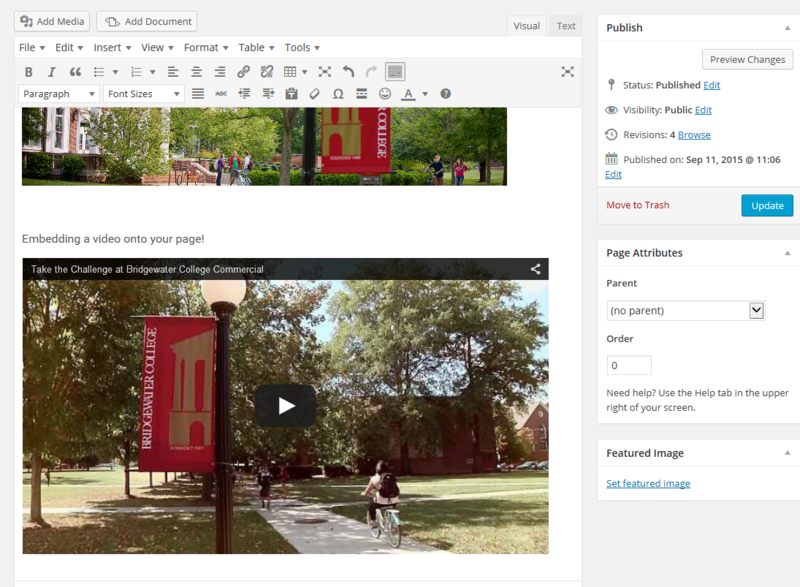 You only have to copy the url of the video you want to embed into the page’s content editor. WordPress will automatically convert the link you provide into an embedded video on your page! As always, cite sources of any images or video you use that is not your own work, or get permission to use a video before embedding it. Plagiarism at Bridgewater is an Honor Code Violation and can be easily avoided by taking the time to properly cite any materials you use.